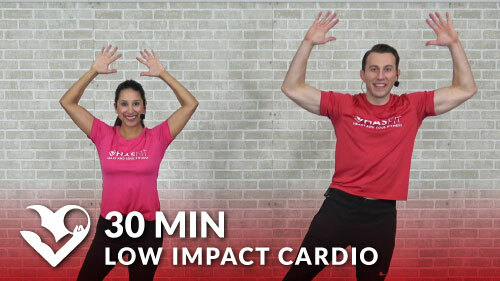 Do you have what it takes to complete this 40 minute Tabata cardio workout?! You’ll use your own bodyweight for resistance with this one, so there’s no equipment required. You may want to grab a mat for comfort. This routine is performed Tabata style, so that means you’ll be performing 4 rounds of each exercise. That’s 20 seconds of work followed by 10 seconds of rest for each round. Let’s do it!